Classic pre-war style meets modern convenience in this beautifully updated Chelsea residence. This quiet corner one-bedroom and one-bathroom is filled with pre-war charm, featuring stunning original arched doorways, and restored crown molding details throughout. The gracious entry foyer / dining area opens to a spacious sunken living room featuring high ceilings, beautifully refinished hardwood floors. A windowed kitchen features ample cabinet and counter top space. The bathroom has been updated and features a window.The airy bedroom has plenty of space to fit a king-sized bed, plus additional furniture. Organizational mavens rejoice! A double-wide walk-in closet with custom doors and built-ins can solve all of your storage needs. 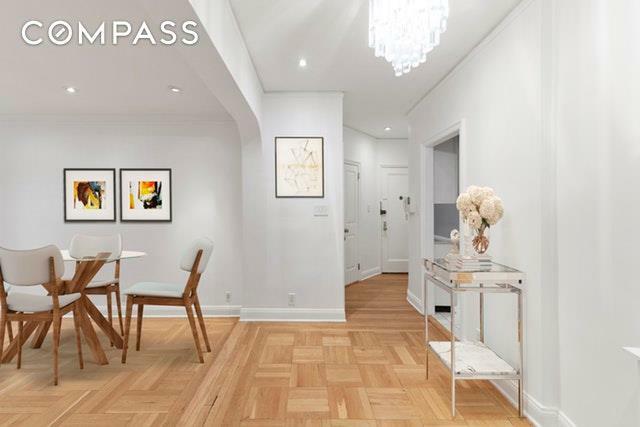 In addition to the abundant closet space, this apartment comes with a large private storage unit in the buildings lower level.225 W 25th Street is a highly desirable Art Deco co-op located on a beautiful tree-lined street in the heart of Chelsea. 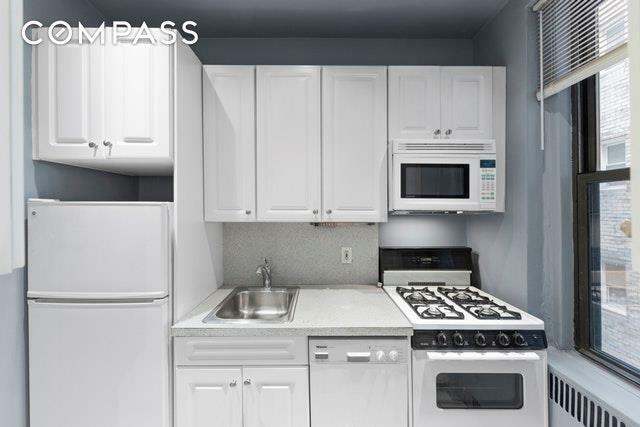 This elevator building is meticulously maintained, and features multiple common outdoor spaces, including a roof deck, and a pet-friendly courtyard. Recent building upgrades include a new deco-style foyer, elevator, and laundry room. 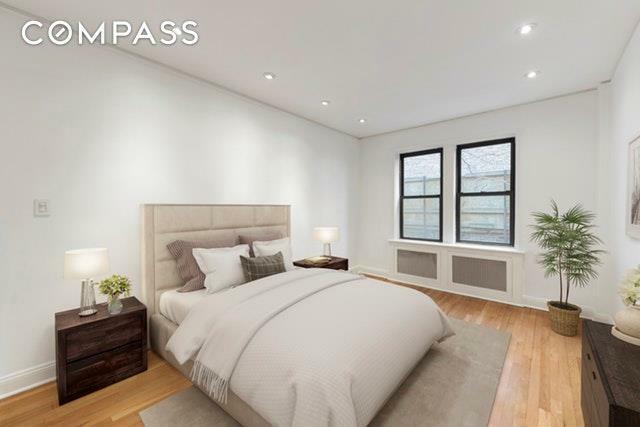 There is a live-in super, video intercom, and additional bike storage, plus storage cages.This period building is conveniently surrounded by the C, E, 1, F, M, and PATH subway lines, in addition to other public transportation. Centrally located to all that Chelsea offers including Chelsea Market, Whole Foods, Trader Joes, and Fairway, as well as numerous restaurants, galleries, health clubs, and shopping. Your new home in New York City awaits at Residence 2C at 225 W 25th Street. Listing courtesy of Gary Martin of Compass.